The affordable price, light weight, and no-nonsense design of this 21 inch propane buffer are what make it one of our best-selling propane burnisher buffers. It was built with the building service contractor and in-house professional in mind and has a unique offset head which allows you to reach under racks, furniture, and other immovable objects. The 18 HP Kawasaki engine gives it enough power to burnish any type of tiled floor at a rate of 25,000 square feet per hour! With fewer parts and longer service intervals, the chances of field problems and expensive downtime are greatly reduced. 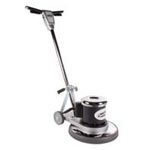 If you need a machine with a wider burnishing width, check out this machine's big brothers, the 24 inch Reliant floor burnisher or 27” propane buffer. 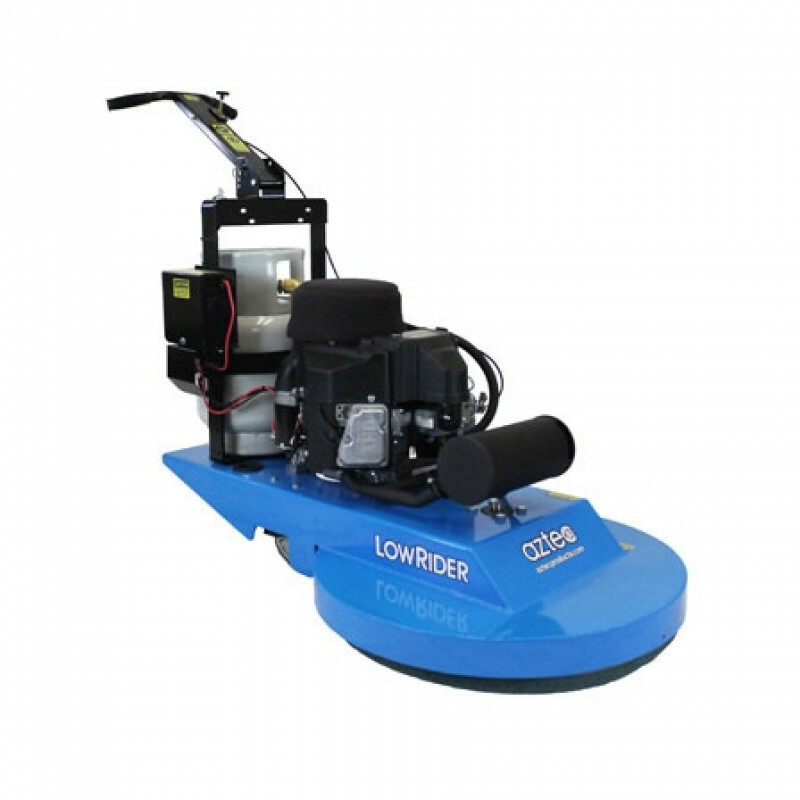 If you're looking for a floor burnisher that you don't have to worry about emissions of any kind then you may want to consider one of our battery powered high speed floor buffers or electric floor burnisher buffers. Adjustable Height Handle. An easy to use handle height adjustment is standard on this Aztec propane buffer burnisher. Having the handle set at the correct height makes the burnisher easier to control and ensures the operator a comfortable place to operate the machine. Low Profile head. The unique low profile head allows the operator to get the polishing head under tight spots like the toe-kick area under shelving. Perfect balance, minimum torque and maximum maneuverability. Cast aluminum deck and stainless steel shaft. 18 HP Kawasaki engine with 12 Volt battery start. Includes a 20 lb UL listed steel propane tank.